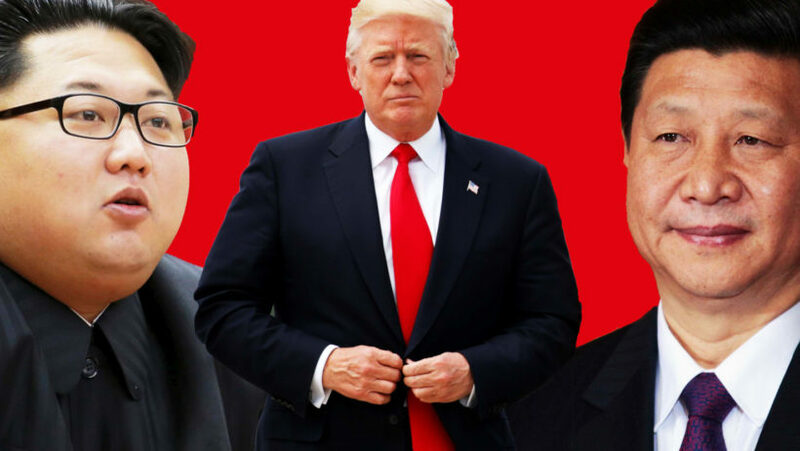 U.S. President Trump to meet face-to-face with his archenemy Kim Jong Un,after diatribes..
With the nomination of Mike Pompeo as Secretary of State last month, many have expressed concern and trust under President Trump's foreign diplomacy. The top ranking Democrat member, Sen. Bob Menendez of New Jersey, slammed Trump as a “Commander-in-Chaos” for firing Tillerson. “I remain convinced that the best person to serve as the nation’s top diplomat must be someone who can rise above partisanship, and commit to promoting core American interests, including values-driven diplomacy,” Menendez said in a statement. Trump's administration trusted POO as a solely substantiate adviser who can prepare him for the upcoming summit with North Korean dictator Kim Jong Un. Pompeo’s first job in White House is to make sure Trump understands correct protocols and equipped with necessary eloquent languages that he will going to turned them in convincing talks. Washington should aware that North Korea has no plans to give up its nuclear weapons at the negotiating table, for the sake of saying US going to provide aid and food donation to North Korea. In fact Kim knows very well all usually tricks of Americans and has seen the capture of Saddam Hussein in Iraq and watched what happened to Libyan dictator Moammar Gaddafi when he surrendered up his nuclear ambition and handed the entire Libyan nuclear weapons program include the uranium centrifuges to US for safety keeping. Seven years later, the Obama administration launched a military intervention in Libya during which Gaddafi was humiliatingly killed. Don’t think Kim has not seen the video of Gaddafi’s gruesome death, it would never have happened to Gaddafi if he could kept his nuclear weapons as deterrence. If everything goes according to plan, President Trump is expected to meet with North Korean leader Kim Jong Un before the end of this April. There are important factors that may determine the successful outcome of the upcoming meeting between two archenemies: Number one is "Earth or Heaven"; choosing a right place has home-ground advantage. The Rendezvous must be politically correct in order to win in business talks or capitalize any hostage negotiation. In diplomacy too meeting place is very crucial. President Trump being a real estate tycoon he should know these factors that location can be a key factor in negotiations. Some countries are already vying for the opportunity to host the upcoming meeting. Countries like China,Sweden,Russia,Finland and Switzerland have issued statements offering to help facilitate the meeting, even the former Mongolian president Tsakhiagiin Elbegdorj suggested that his country is the most "suitable" for the meeting since it is a neutral territory to both US-South Korea and DPRK. Some analysts suggested the DMZ-region a "truce village" of Panmunjom a place between South Korea and North as a likely Rendezvous, but the intelligence community has dismissed this proposal due to the security fragility exist at that specific border area which is heavily occupied by guarded military personnel from both two hostile sides. The meeting issue have raises a number of symbolic elements of which both sides need to grapple before hand and fulfill all major practical concerns, unless otherwise the chance of producing this key meeting is a flaw: Remember, Kim Jong-un since he took power in North Korea in late 2011, has never set foot outside the country beside the recent surprise visit to Peiping. Those who supporting the event to be hosted at DMZ saying there are already plans to hold an inter-Korean summit at the same site probably in coming few days. Michael Madden, founder of the North Korea Leadership Watch, said "it was unlikely that Kim would travel outside North Korea, though Kim's father, Kim Jong Il, went outside the country". North Korea: In the past, high-profile meetings between U.S. political figures and North Korean leaders have generally taken place in North Korea itself. For example, former presidents Bill Clinton and Jimmy Carter have both visited Pyongyang in bids for better U.S.-North Korea relations, which eventually never worked. The United States: In June 2016, then-candidate Trump said he would be willing to invite Kim to the United States for talks, suggesting that he would “accept him” and serve the North Korean delegation hamburgers. A third-party country: To ensure neutrality, it might make sense to choose a third party to host the meeting particularly the appealing option is for the countries that have long-standing ties to Pyongyang while share mutual harmony with United States and South Korea. There's been speculation that Mr Trump was trying to shake things up as a tactic to prepare the ground for peace talks. But there's far more evidence he was simply focused on keeping a campaign promise like he did mistakenly signing a waiver for pro-Israel American Jews and evangelical Christians, when declaring Jerusalem as capital city of Israel, US is required by law to move the American embassy from Tel Aviv to there, the decree which further escalate violation in Mid-east. There is high chance that the meeting may blow-out the content from the box.